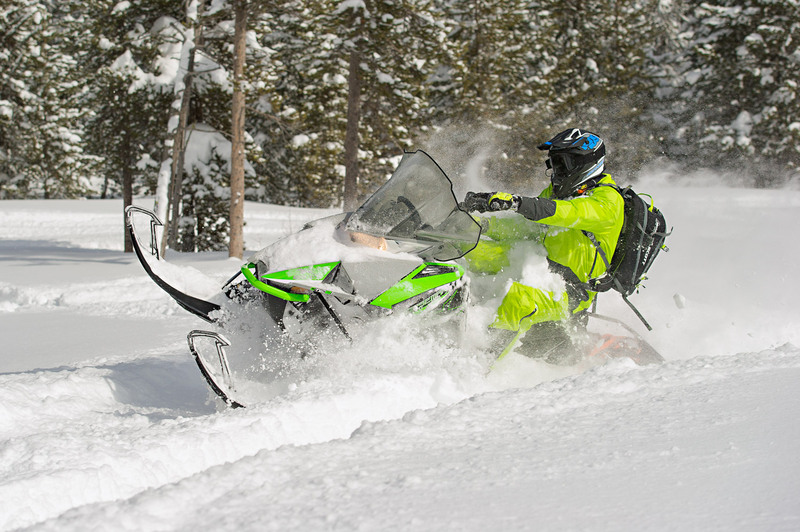 Last year Arctic Cat introduced an interesting snowmobile to its line-up called the Norseman. What caught our attention was its multi-purpose nature. Housed in the newly revised Cat quick-remove bodywork for MY 2018, the first Norseman ES was powered by a DSI 600 twin and featured hydraulic shocks, powder –friendly skis, a 1.6-inch-deep track and a downgraded instrument package. Its biggest hook was its 154-inch-long, articulated skidframe and track. With this much track on the snow, 1.6 inch lugs and a reasonably low overall weight, the Norseman can go pretty much anywhere in any kind of snow – particularly the dry, bottomless, powdery stuff you encounter off-trail. What we didn't expect was how well the Norseman handled on packed-down trails. 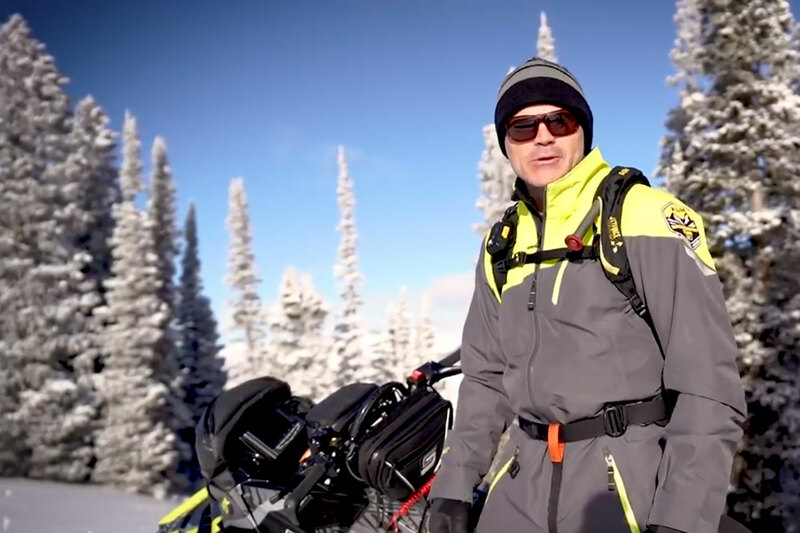 Despite its super long track, the sled turned in very well and rode like a champ – even compared to many trail-targeted sleds. This year, Cat took the Norseman up a notch and added an "X" variation equipped with choices of 600 and 800 DSI twins. The new Norseman X has been largely ignored by the mountain-specific and the trail focused marketplaces, but in many areas where consumers are riding more off-trail than on, the Norseman has been a big hit. What's the diff between an X and an ES? The X comes with a full set of IFP gas shocks, upgraded electronic instrumentation and a 2.25-inch-deep track. Obviously, the market for this sled is off-trail – its track length is pretty competitive with an all-out mountain sled – so you can expect it to climb out and go vertical with a lot of confidence. We felt it was an interesting development to go to the 2.25-inch lug depth on the X this year when the suspension has been upgraded from hydraulic to gas shocks, presumably to deliver a better ride. 2.25 tracks aren't the best for trail riding, where the improved suspension shines and we honestly feel the 1.6 track offers better diversification for both uses. Not our call though, and the Norseman X in this 800cc configuration is still a sweet ride. Although it uses Cat's 8-10 variable width powder skis, the designers stayed away from using the mountain spindles and front end geometry – presumably to keep handling tighter on hardpack. The rear of the skid hinges upward when you're reversing so the track won't dig in and get you buried. This is a really nice feature when you'’re alone twenty miles from nowhere and think you might be getting stuck. There's plenty of cargo area at the back and a railed stowage area you can strap and bungee stuff to really easily. The Norseman has nice modern handlebar switchgear, a grab-strap, electric start and a warm windshield. Tough to ask for more - and a really well-thought-out piece of marketing, if you ask us.